Not only does Parc Modern have a stunning collection of contemporary furnishings designed to make designers drool, their showroom is just steps away from our office at The HOUSSE. We can pop over for a little retail therapy or design inspiration on a whim! One of our favourite pieces is this versatile and space-saving chairbed. We love it because as a chair, it looks so chic and urban, plus it swivels. 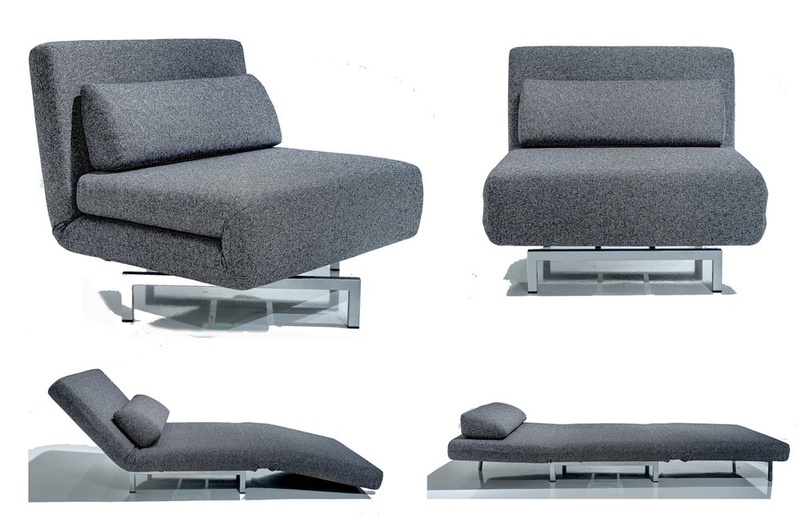 It transforms into a lounger and into a single bed. Although it has contemporary lines, it would work well with a variety of design styles. This piece is a must-have when you have guests to your space that may be short on square footage but not on style. I purchased this piece for a client's condo - she didn't have the real estate in her guest room for a hefty bed or a sofa bed, so this ISO-Chairbed was the perfect solution. It is available in a variety of colours, and is available for custom order from our friends at Parc Modern.